Used Alexander Single French Horn in F/E. 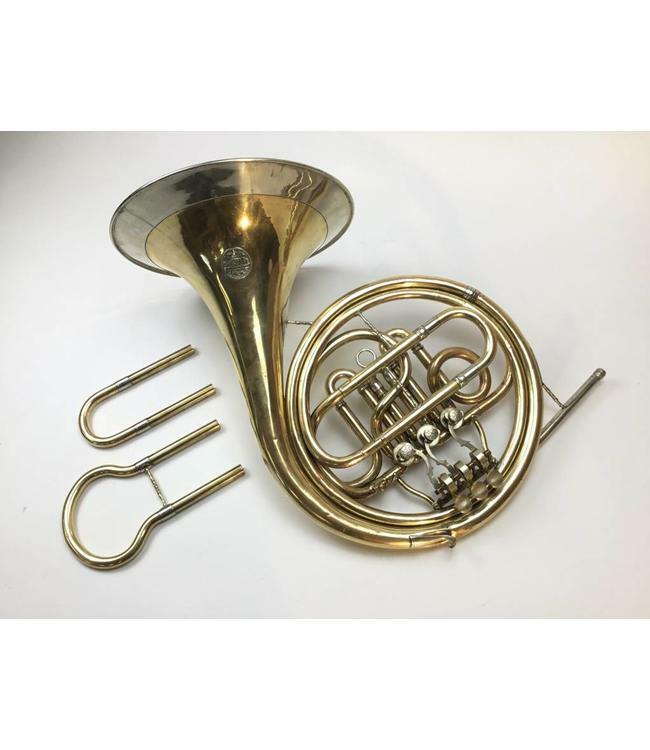 This French horn features .460 bore size, 11" unlacquered gold brass bell and body, clock spring linkage for the rotary valves, nickel silver garland on the bell, and 2 crooks (one for low pitch F and the other for the key of E). There are a few dings in the bell and body of the horn and a few signs of bell repair. Comes with original case.